Time is moving way too fast and I am having a hard time chasing it. The struggle is real. Nevertheless, I am looking forward to better things in 2018. HOPEFULLY. 1) Have a healthier lifestyle. This one has been on the list, EVERY DAMN YEAR. 2) Try out new recipes. Start using the recipes in the 104939 cookbooks that I have. 3) Be more productive and learn to multi-task like a pro. 4) Stop buying groceries that aren’t needed. I have a fetish for groceries shopping and It is a dangerous addiction. 5) Improve on Arabic reading. I have more running in my head but I think I shall not be over-ambitious.. As much as I long grocery shopping, it can be daunting when your list of New Year’s resolutions are as big as your grocery shopping list. 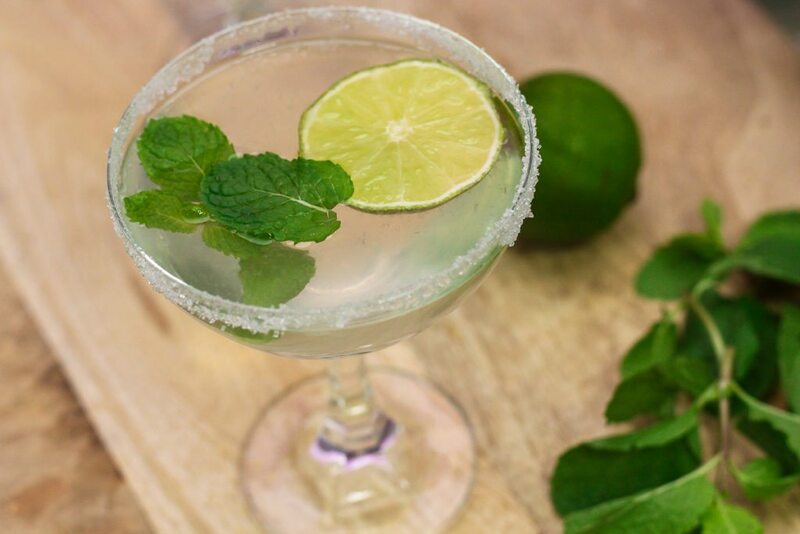 Mojito is actually a traditional Cuban cocktail, made with rum, a sweetener, carbonated water, lime and mint. Mine is a non-alcoholic version since I do not consume alcohol. 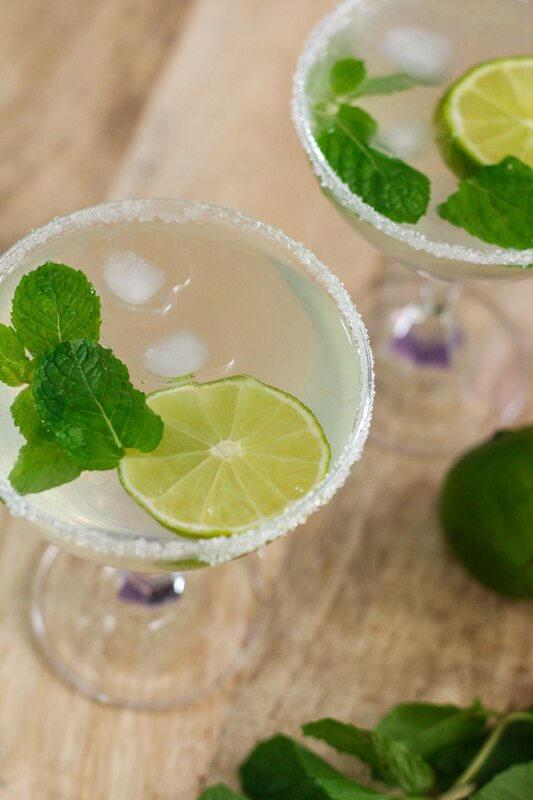 This Non-Alcoholic Mojito combines all of the flavors of the original without you getting drunk. 😉 You know sometimes at a party, adults get served all the fancy drinks and the kids want it too? This drink is good for the kids if they too want some fancy beverage. In fact, on some days, you may find yourself in the mood for a cocktail, but not for the alcohol content, this is the perfect drink for you. 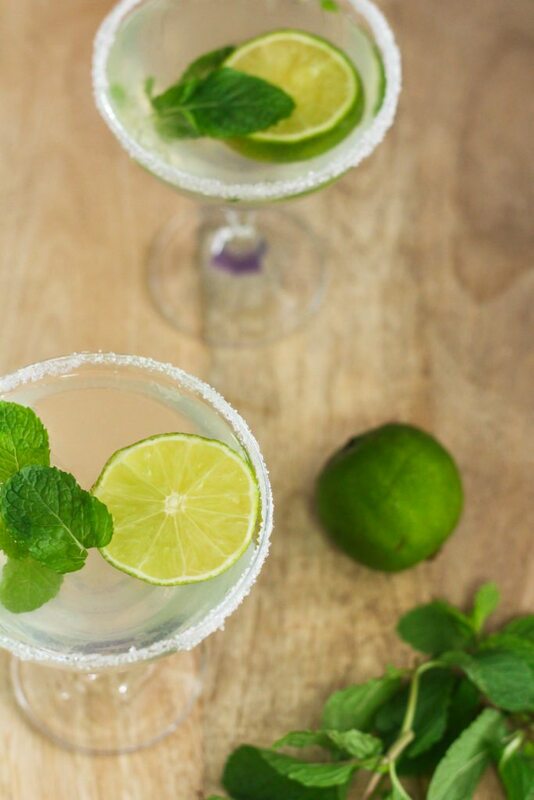 This drink starts with limes and mint. Muddle the 2 ingredients together so that the flavors mix beautifully. You then mix in some sugar/simple syrupand carbonated water to get this great drink which hydrate, refresh, and tickle your taste buds. Yumz! So lovelies, let’s usher in the New Year with a glass of this refreshing and puckery drink before we start working on the resolutions, shall we? What is your new year’s resolutions by the way? Set aside 2 slices of lime for garnishing. Muddle the rest of the lime slices, sugar and mint leaves until they release some juices. Top with the sparkling water/7up. Strain this mixture if you prefer not to have mint bits in your drink. Place ice into 2 glasses and top with the drink. 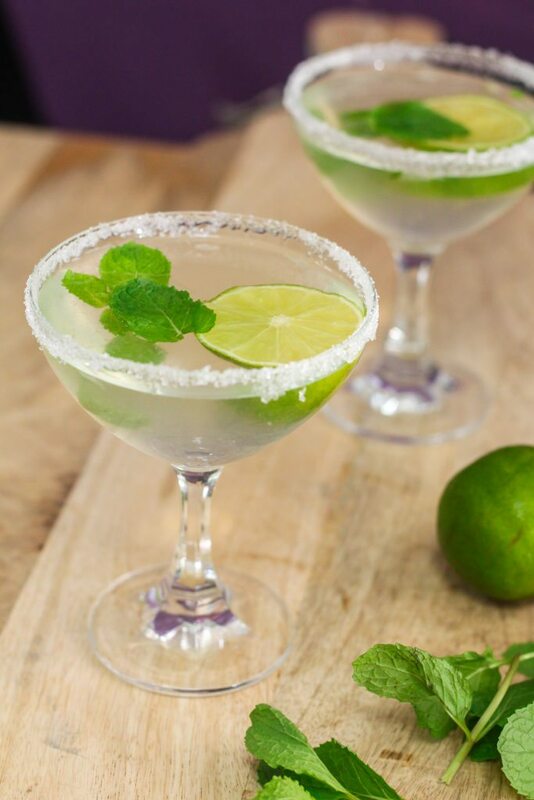 Garnish with a slice of lime and mint leaves. If you are making this for a crowd, it would be easier to use a simple syrup instead of sugar. Just cook equal parts water and sugar in a saucepan and cook this <g class="gr_ gr_92 gr-alert gr_gramm gr_inline_cards gr_run_anim Grammar multiReplace" id="92" data-gr-id="92">till</g> the sugar is completely dissolved and the liquid would be completely clear. Replace the sugar used in the recipe, with a couple tablespoons of this simple syrup. My favourite drink and now I know how to make it the proper way. Thanks! I love how refreshing it is!